USPS Life Insurance for Postal Service employees is provided through the Federal Employees Group Life Insurance (FEGLI) Program. The USPS Life Insurance will pay 100 percent of the cost of your FEGLI Basic life insurance coverage, and you pay 100% of the cost of FEGLI optional insurance components, such as FEGLI Option B or Option C.
Basic life insurance through FEGLI is equal to your salary rounded up to the next even thousand, plus two thousand dollars. Unless you explicitly waive it, new Postal Service employees automatically get signed up for Basic FEGLI life insurance cover without having to go through a physical or face any other eligibility issues. FEGLI options include FEGLI Option A, Option B and Option C. FEGLI Option A – Standard provides additional coverage of $10,000. FEGLI Option B allows Postal Service employees to add coverage equaling up to five units or multiples of your annual rate of basic pay. FEGLI Option C provides coverage to family members of Postal Service employees. When you elect for Option C, all eligible family members are automatically enrolled. 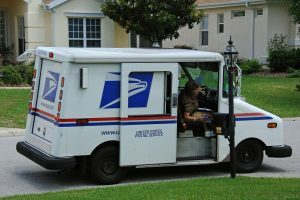 Coverage for the USPS employee’s spouse is limited to a maximum of five units of $5,000 each, and up to five units of $2,500 each for every eligible child. You can choose one or more of the FEGLI options in addition to Basic life insurance. The options are only available to those who are enrolled for FEGLI Basic. It is not possible for existing USPS Life Insurance employees who have waived FEGLI Basic or want to change or add options to do so at any time they want. They must either wait for a FEGLI open season (the last one was in 2004 and there is none scheduled as of now), or provide evidence of a qualifying life event (QLE) that makes them eligible to modify their FEGLI coverage and options. USPS Lite Blue is a part of the USPS portal for getting your own employment position, growth and more.